As a manufacturer-certified Technician, with over 14 years experience with all makes and models of scuba gear, I occassionaly buy good second-hand gear to service and resell. All the equipment listed for sale has been fully tested and safety check documentation will be provided with the equipment. Equipment has a 3-month tuning warranty and annual services of dive equipment bought from Go Pro Townsville comes with a 10% discount on future annual servicing done by us. 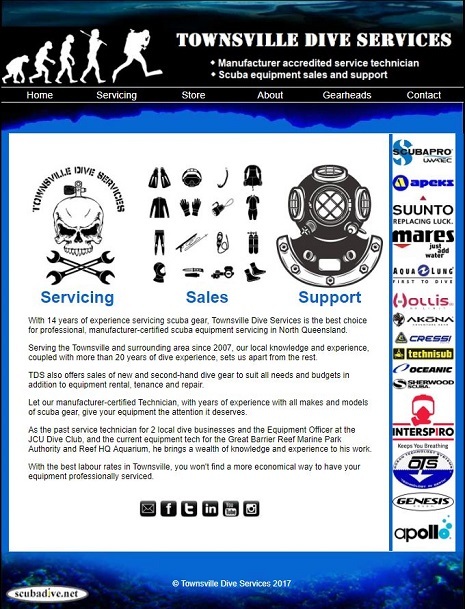 Townsville Dive Services was set up in 2015 as a wholly-owned subsidiary of Go Pro Townsville, and deals with all scuba equipment matters, from servicing to sales. Please click here to visit Townsville Dive Services for more information on scuba equipment servicing and sales.